There is a theory by American Psychologist, Albert Ellis, which is called Rational Emotive Behavior Theory (REBT). Click here for more info on Albert Ellis. This theory speaks to the impact that our thoughts have on our feelings and the impact that our feelings have on our behaviors. Once we have a clear understanding of what this means, we are able to discover and develop skills to be able to create change in our own lives. Let's look at an example to gain a better understanding of this theory. We need to start with a presenting event. Event: Received a bad grade on a test. These behaviors then contribute to more negative events, that then lead to more negative thoughts, which lead to more feelings of sadness and discouragement, which lead to more negative behaviors, and the cycle continues. Thoughts, feelings and behaviors are all connected. Not to say that it is wrong, or bad to have feelings of sadness, or discouragement, it is okay to feel those things. It is not okay to dwell on or stay stuck in these feelings. This creates a cycle of unhappiness. Let's create a cycle of happiness! 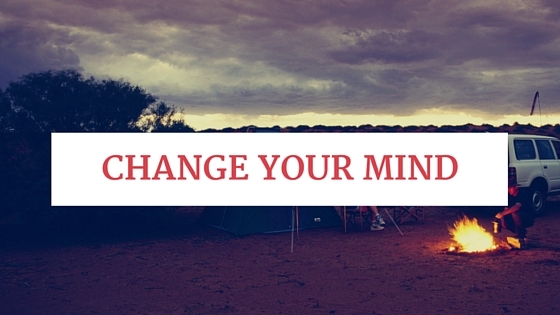 This technique of changing your mind, takes practice. Just like any other skill worth learning, it will take time. The results, however, are incredible, and can change your life!